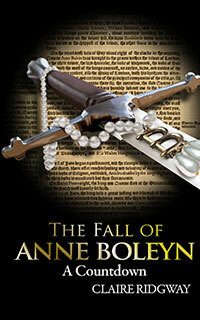 During the spring of 1536 in England, events conspire to bring down Anne Boleyn, the Queen of England. The coup against the Queen results in the brutal executions of six innocent people – Anne Boleyn herself, her brother, and four courtiers – and the rise of a new Queen. Drawing on sixteenth-century letters, eye witness accounts and chronicles, Claire Ridgway leads the reader through the sequence of chilling events one day at a time, telling the true story of Anne Boleyn’s fall. The Fall of Anne Boleyn: A Countdown is presented in a diary format, allowing readers to dip in, look up a particular date, or read from start to finish. Special features include mini biographies of those involved, a timeline of events and full referencing. 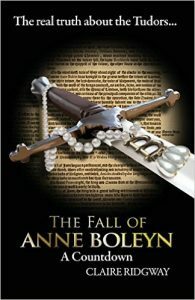 Claire Ridgway, creator of The Anne Boleyn Files website and author of The Anne Boleyn Collection, continues her mission to share the real truth about Anne Boleyn. I have recently read the book again and although it is not as detailed as the Weir book, it gives a crisp and easy access to the sources and the day to day events as they happened in chronological order. It also gives a suspect list which is interesting as there are a number of theories about who if anyone was directly responsible for the fall of Anne Boleyn. I would have liked a bit more analysis and imput from other scholars and the book could have done with a professional editor, but overall it is a good read and as I say makes the events accessible and easy to follow. It also allows us to read something from an author that has emphathy with Anne and not just an academic who wants to provide us with lots of facts and complex theories. Claire is enthusiastic about her subject and has a real concern for Anne and that we know the truth about her. I would highly recommend this book to anyone. Yes, there are more detailed studies, and there are one or two errors, but there are with every author. That does not distract from the way the book flows well and the closeness to Anne in her last days that we are brought by Claire’s easy to follow writing style and ability to see things through Anne’s eyes and suffering. Thank you so much for taking the time to leave feedback on my book and I am so glad you enjoyed it. Thank you also for your kind comments and for recommending it. It was actually professionally copy-edited by an editor who is now freelance but used to work for a publishing house, so I am concerned by your comment about the editing. You can email me at [email protected] if you want to tell me more about this – thank you!